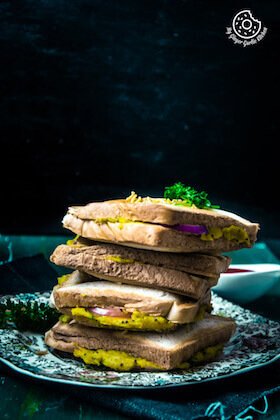 Learn to make Sooji Toast 3 Ways – Rava Toast Recipe | Suji Toast Recipe Video is a savory toast recipe with a quick video tutorial. This is a very simple, healthy, easy and filler breakfast dish. This is made with a blend of suji/sooji/rava aka semolina, some veggies, yogurt and some spices. 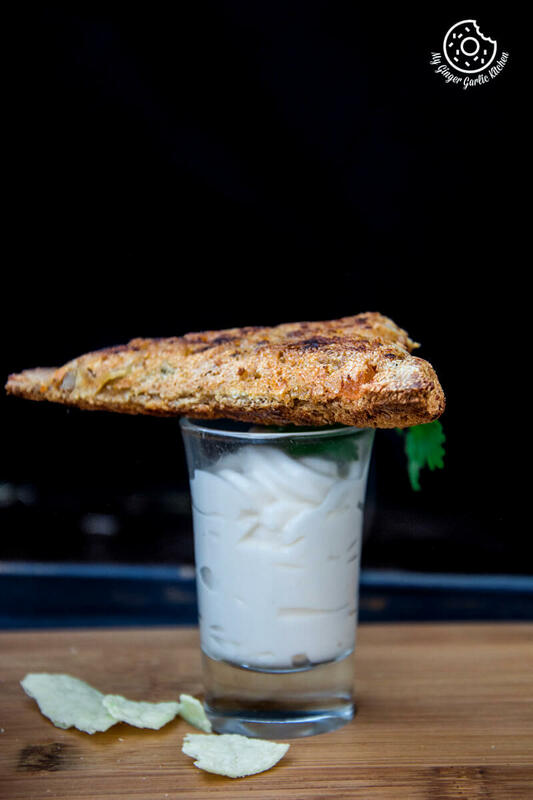 The grainy texture of sooji along with veggies takes this toast to a whole new level. Waking up early on Mondays or any day is a struggle. But I assume this is a temporary thing. There will be one day when I will not have to wake up early — that’s what I have been telling myself since childhood. That day hasn’t arrived yet, so I guess I will have to keep my hopes alive and say the same thing to myself for many more years to come. Hope is the only way to move forward. Hope is the only thing which keeps us alive at times. For me, having hope is like living in a wonderful world where you can get everything and anything at all times. So I would recommend you to keep your hopes high, and keep your hopes alive. Only then you’ll be able to get anything your heart desires. I too hope that one day I will sleep on all Mondays till late. See, I am keeping my hopes high. Oh wow! I believe that’s a good motivation to start a new week with new hopes. So how did you like my Monday motivation — hope is the key to happiness? Now, let’s talk about the recipe of toast I am sharing today. It’s Sooji toasts 3 ways. I am also hoping that I will get one of these toasts for my breakfast tomorrow. And now I have decided that I will make waffle toast for tomorrow’s breakfast. See, I hoped and now I will get it. 😀 And I am hoping that I made you smile. 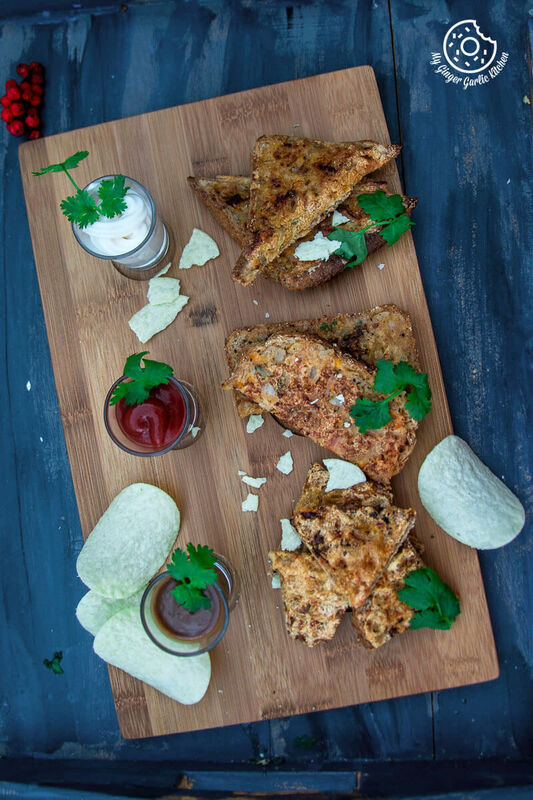 This Sooji Toast 3 ways is a savory toast — a very simple, healthy, easy and filler dish. This is made with a blend of suji/sooji/rava aka semolina, some veggies, yogurt and some spices. 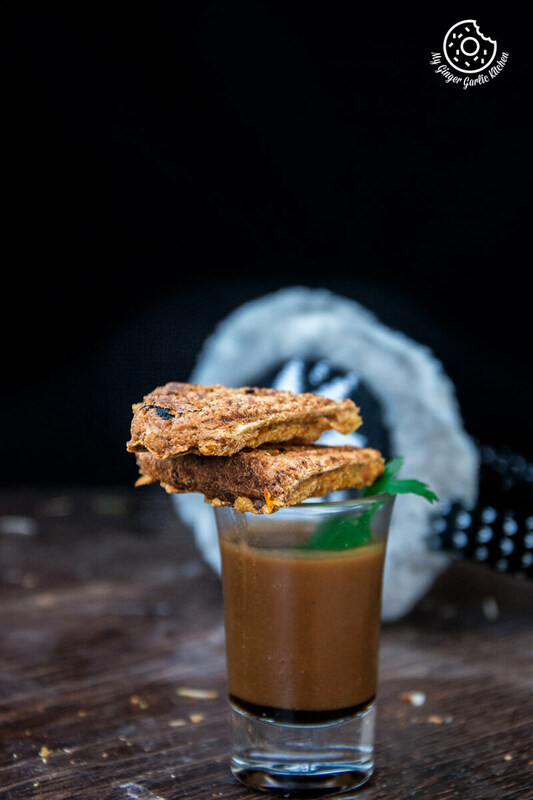 The grainy texture of sooji along with veggies takes this toast to a whole new level. 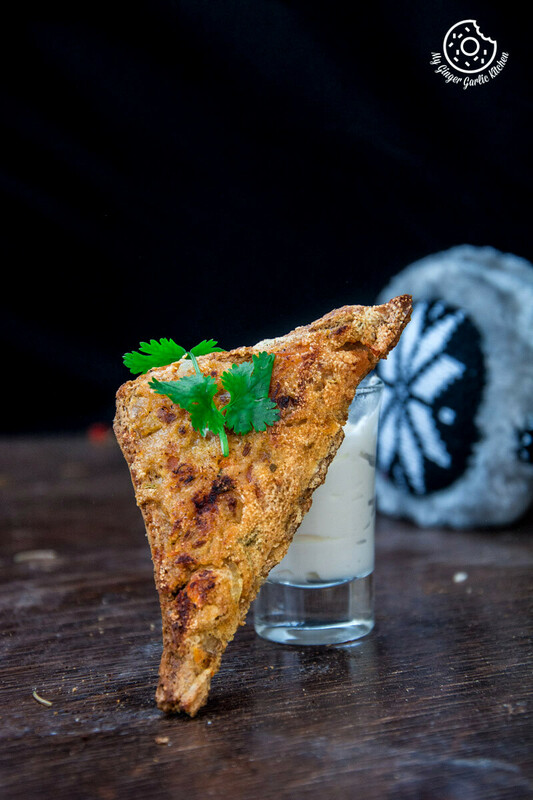 Sometimes you just want a cheeseless toast and here enters this Sooji Toast. Generally, I make this toast for breakfast, but this can also make a quick and filling snack or brunch. My Mom used to pack these toasts in my lunch-box, so I can tell they might also make a great lunch. To make it more guilt-free, I always make it with whole-grain bread but you can use any of your favorite breads. I guess ‘Rava (or sooji)’ is a kind of staple breakfast ingredient in India. 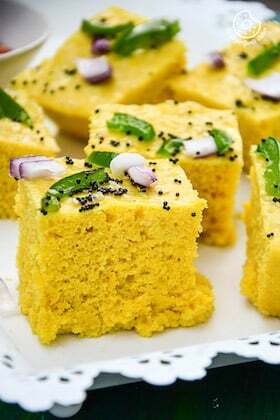 So we make many quick dishes using sooji like Suji Halwa, Rava Dhokla, Rava Dosa and many more. 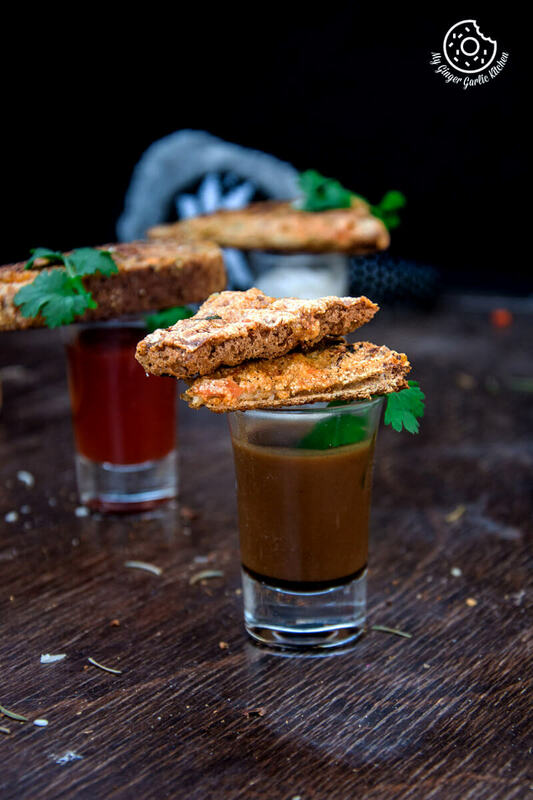 Today I am showing you how I make this humble and delicious open toast in 3 ways. 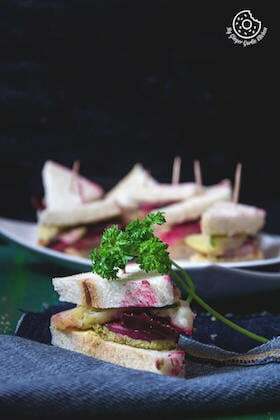 Open Sandwich Sooji Toast: In this toast, a generous amount of spicy sooji batter is smeared on a bread slice and then toasted in a sandwich maker until golden and crisp. Waffle Toast: Here, a sufficient amount of spicy batter is spread on a bread slice and then toasted in a waffle maker until golden and perfectly crispy. 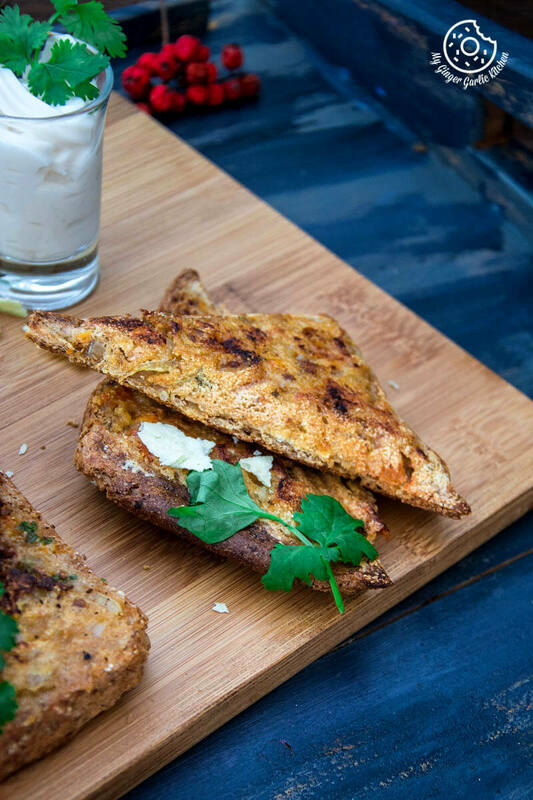 Sooji Toast: In this toast, a generous amount of spicy batter is smeared on a bread slice and then toasted in a pan over medium heat until golden and crisp. This is a fail-safe breakfast for me. Whenever I am in no mood of cooking anything for breakfast and still want to eat something good, I end up making this toast many times. It’s because it doesn’t require much time, so in my dictionary, it’s known as almost ‘no cooking’. 😉 These toast goes well with tea/coffee, juice or even with milk. 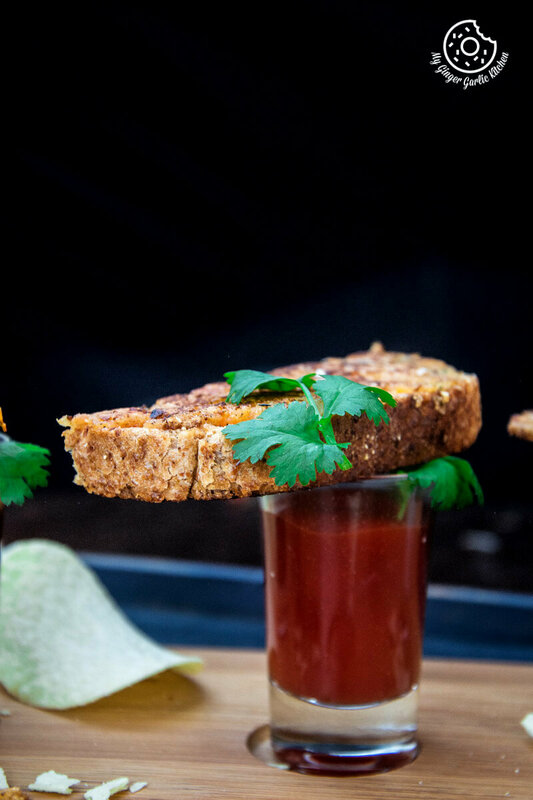 All I can say is that these toasts are the best way to start any morning, Mondays or not. 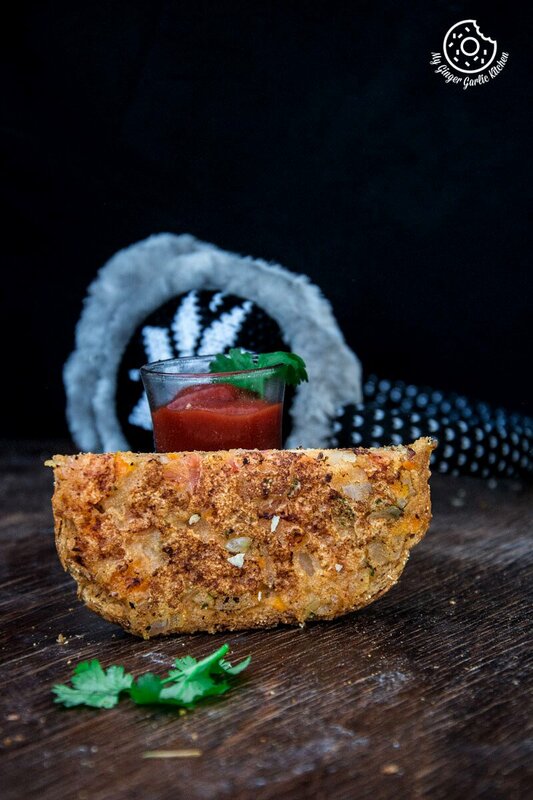 This Sooji Toast 3 ways is a savory toast — a very simple, healthy, easy and filler dish. This is made with a blend of suji/sooji/rava aka semolina, some veggies, yogurt and some spices. 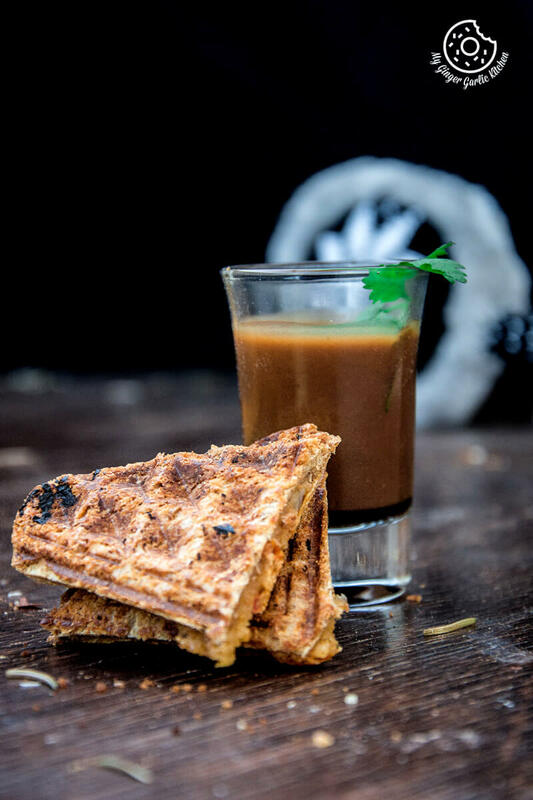 The grainy texture of sooji along with veggies takes this toast to a whole new level. 1. In a mixing bowl, add all the ingredients for topping and mix well. Add some water if needed. 1. Spread the batter evenly on 2 bread slices and press them lightly so they don’t fall off the bread. 2. Heat a pan and brush with oil. 3. Place the sooji battered pieces of bread and let them cook from the bottom. 4. Flip them over, this time topping side is facing down. Cook them on a medium heat till the time the batter turns golden in color. 5. Cut into two pieces. 2. Brush waffle iron with oil. 3. Cook in the preheated waffle iron until golden brown, 5 to 7 minutes. Remove and cut into slices. 2. Brush sandwich maker with oil. 3. Cook in a preheated sandwich maker according to manufacturer’s directions until it turns golden brown in color and cooked perfectly. 4. Cut into two pieces. 5. Serve them hot with some chutney or ketchup. Cool completely on wire rack before baking in a lunch box.